The questions we ask ourselves determine our lives. Our thoughts are nothing more than a continuous question-and-answer session we have with ourselves. Our lives - material, emotional, spiritual, and financial - are a direct reflection of our thoughts. Eighty-five percent of these thoughts are both habitual and unconscious. Meaning, we are asking and answering the exact same questions every day, usually in the same way over and over again. If there is any area of your life you're not 100% happy with, the root of the needed change is in the questions you're asking of yourself. And since these questions are habitual and unconscious, the first order of business is to become aware of the questions. Only then can we change them. That is exactly what we're doing with this book. The improved quality of your questions will lead to an improved quality of life. No matter how much skill and how many resources you add to your arsenal, bad questions will always drag you backwards into failure. Not taking full control of your questions will lead you into the randomness of the world - good days and outcomes followed by just as many bad days and outcomes. If this has happened to you before, there isn't anything wrong with you. You just didn't know what you didn't know. No one ever told you about this. There aren't any classes in school teaching you the habit of asking strong, empowering questions. Some people live 80 years and never consider what they've been asking themselves all day every day, thus they think success in life is based on randomness, the luck of the draw. Success and happiness are not random. You become exactly what you ask yourself. 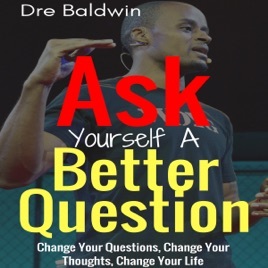 Are you ready to ask yourself better questions and improve your life, one answer at a time? You'd better be, because the journey begins now.